CBS Automotive are the vehicle security installation professionals in Cambridge. We offer a range of security upgrades for commercial vehicles as well as luxury vehicles. If you require a Category 5 or 6 Insurance approved tracking system then, feel free to call us on 01223 563030 so we can get everything arranged for you. At CBS, we offer a collection and return of your vehicle as well as have loan vehicles available. CBS Automotive are main dealers in Cambridge for Cobra and Trackstar. With accredited master technicians, you can be sure that your vehicle is in safe hands. As a company, we have been installing security products for the past 30 years, we carry out work for some main dealers across Cambridgeshire such as Range Rover, BMW, VW, Bentley, Porsche, Ferrari, and McLaren. CBS Automotive offer a comprehensive range of alarms, immobilisers, and keyless entry systems suitable for most vehicle from add-on upgrades to improve the factory alarm system, to complete after-market alarm systems offering the most secure protection of any vehicle. 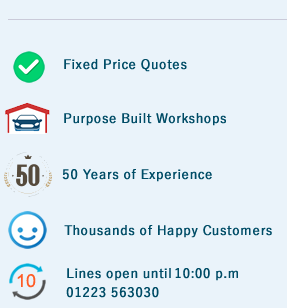 Speak to one of our experienced vehicle security staff by calling us on 01223 563030 or visiting our showroom.